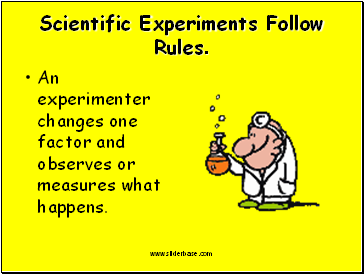 An experimenter changes one factor and observes or measures what happens. 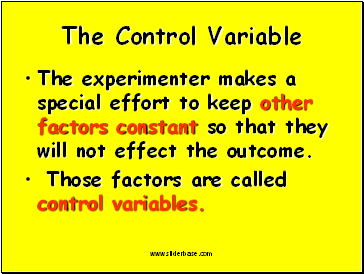 The experimenter makes a special effort to keep other factors constant so that they will not effect the outcome. 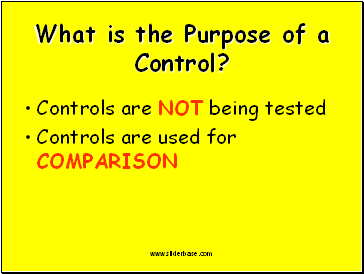 Those factors are called control variables. 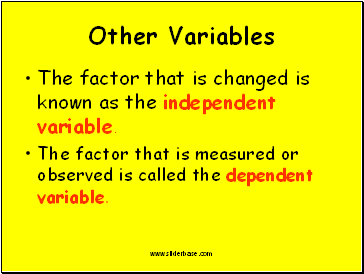 The factor that is changed is known as the independent variable. 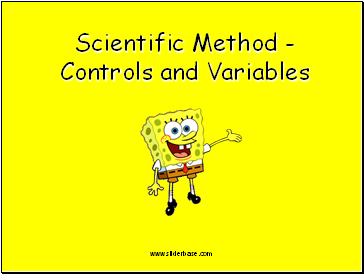 The factor that is measured or observed is called the dependent variable. 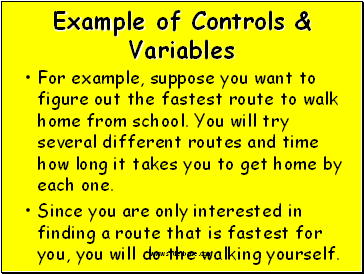 For example, suppose you want to figure out the fastest route to walk home from school. You will try several different routes and time how long it takes you to get home by each one. 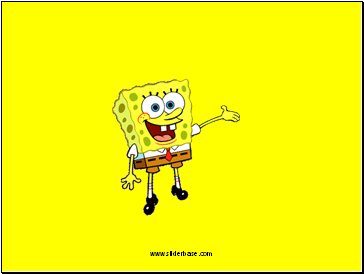 Since you are only interested in finding a route that is fastest for you, you will do the walking yourself. 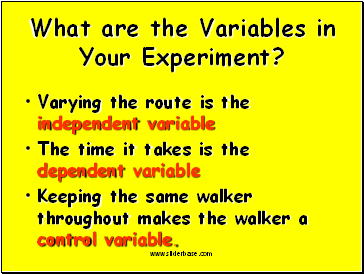 What are the Variables in Your Experiment? Keeping the same walker throughout makes the walker a control variable. 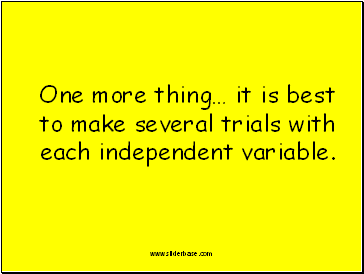 One more thing… it is best to make several trials with each independent variable.